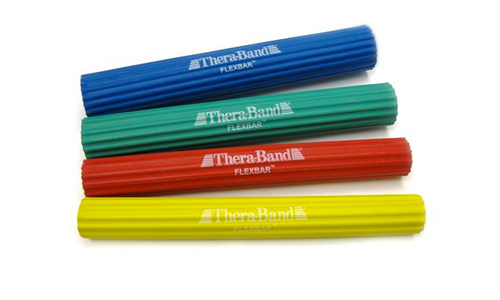 The FlexBar from Theraband® is a lightweight and portable exerciser. In addition to improving grip strength and upper extremity strength, the FlexBar provides soft tissue and joint mobilization and allows oscillation movements for neuromuscular and balance training. Available in three color-coded resistance levels.